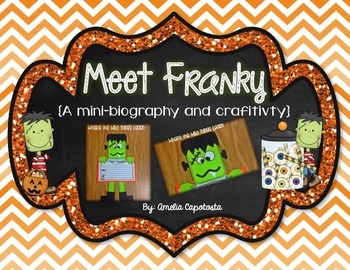 Introduce biographies to your students with this cute craftivity and printables! 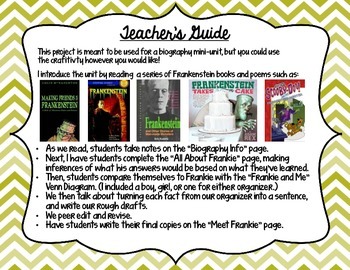 Students will write a biography on one of the most well-known Halloween monsters, Frankenstein! 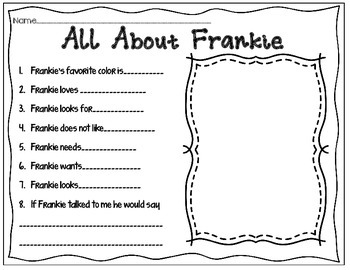 They will use graphic organizers to record information and write their final copy on a cute craft of their new buddy, "Frankie!" 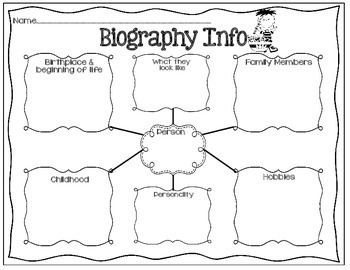 -3 Graphic organizers for preparing a biography including: "Biography Info", "All About Frankie", and "Frankie and Me Comparison"
Download the preview to see what the final product will look like!